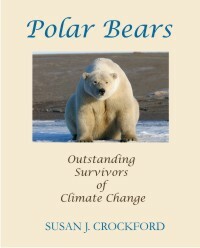 The polar bear biologists and professional activists of the IUCN Polar Bear Specialist Group (PBSG) continue to insist that since 1979 increasingly smaller amounts of Arctic sea ice left at the end of summer (the September ice minimum) have already caused harm to polar bears. They contend that global warming due to CO2 from fossil fuels (“climate warming” in their lexicon) is the cause of this decline in summer ice. I’ve spent the last year examining their evidence of on-going harm, but in addition, I’ve looked at the evidence (much of it not mentioned in the Stirling and Derocher paper1) that polar bears have either not been harmed by less sea ice in summer or have thrived in spite of it. This is a summary of my findings. 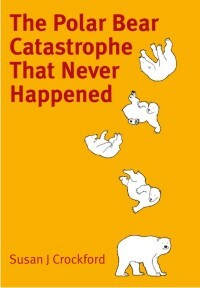 I’ve provided links to my original essays on individual topics, which are fully referenced and illustrated. You are encouraged to consult them for complete details. 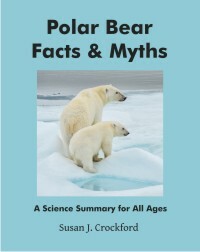 This synopsis (pdf with links preserved, updated; pdf with links as footnotes, updated) complements and updates a previous summary, “Ten good reasons not to worry about polar bears” (pdf with links preserved; pdf with a foreword by Dr. Matt Ridley, with links as footnotes). Update 8 September 2013: to include links to my post on the recently published Chukchi population report; updated pdfs have been added above. Update 22 January 2014: added figure comparing March vs. September sea ice extent using the same scale, from NOAA’s “2014 Arctic Report Card,” discussed here.